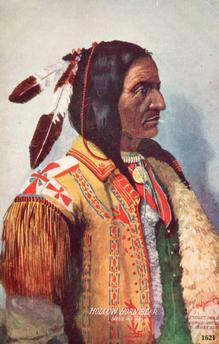 Hollow Horn Bear (1850–1913), Chief of the Brule-Sioux. Picture postcard, 1908 (drawing by F.W. Schultz after photo).